School of Economics in HUST focuses on the cultivation of talents in academy, innovation and application. Covering 15,000 m², the school has a modern office building, experiential teaching center and information center. There are 57 teachers, most of which have a doctoral degree and have visited and studied abroad; among them are 19 professors, 22 associate professors and a batch of adjunct professors who are globally well-known experts in Economics-five of them have won Nobel Prize. The school has been actively establishing academic cooperation and exchange with counterpart institutions in the United States, Canada, Germany, the United Kingdom, Japan, Russia, Australia, and Hong Kong, Macao and Taiwan regions. There are now 565 graduates, 1061 undergraduates, 265 double-degree students, and 61 international students. Principle of Economics, Micro-Economics, Macro-Economics, Accounting, Statistics, Management, Money and Banking, International Finance, International Trade, International Investment, Financial Management, E-Commerce, International Business, etc. Founded in 1593, the School of Mechanical Science and Engineering has the same history with HUST of over 60 years with 71 professors and 80 associate professors. It has won more than 50 national awards, owned more than 300 patents, fostered 7 high-tech industry companies in these years. The SMSE has held more than 10 international and domestic academic meetings and has carried out over 10 international joint research projects, as well as establishing an extensive cooperation in education and research with many renowned universities, research institutes and companies in America, Britain, Japan, Korea, Russia Australia, Singapore and so on. In 2014, SMSE has over 2000 undergraduates and 1250 graduates, including more than 100 international students. Fundamentals of Engineering Control, Material Mechanics, Engineering Mechanics, Engineering Measurement Technology, Fluid Mechanics, Machine Design, Advanced Design Methodology, Machinery Manufacturing Equipment and Technology, Machine Vision and Applications, Fundamentals of Robotics, etc. The School of Electronic Information and Communication has a history of 50 years with 29 professors (20 Ph.D. Supervisor) and 44 associate professors. It has established a large number of national and provincial research base and teaching experiment centers like National Electrical and Electronic teaching base, Wuhan Photoelectric National Laboratory, National Security Engineering Technology Research base. Besides, steady cooperation has been established with universities in America, Singapore, Australia, Germany, Hong Kong, etc. So far, more than 15,000 students have graduated from SEIC, including lots of famous professors and successful business elites. Complex Function and Integral Transform, Probability and Mathematics Statistic, Circuit Measurement Experiments, Digital Circuit and Logic Design, Analog Electronics, Course Project of Hardware/Software, Modern Communication System, Electromagnetic Field and Wave, Operation System, Matlab and System Imitation. Founded in 1907 by a Germany doctor Mr. Erich Paulum, Tongji Medical College has a history of more than 100 years, nurtured 10 academicians of Chinese Academy of Science and Chinese Academy of Engineering (CAS and CAE are the top academic institutions in China), fostered 3 Ministers of National Health Department P.R. China. 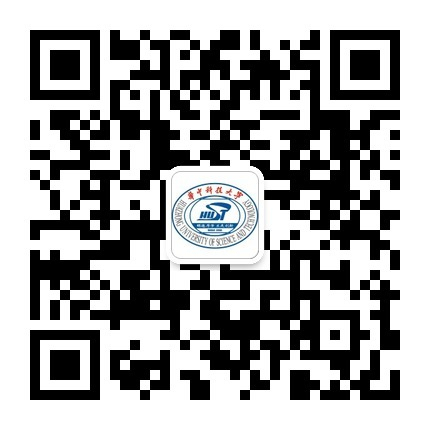 Tongji also owns 9 national key disciplines, 5 national key cultivation disciplines, and 25 key clinical specialties of National Health Department, one key laboratory of National Health Department, 3 national famous teachers and 3 national teaching teams with 351 Ph.D. Supervisors, 629 Master Supervisors working here. Tongji has won 5 National Science and Technology Awards, 20 outstanding scientific achievement Awards the Ministry of Education and 22 Chinese Medical Prize so far. Long-term friendship has always been kept with Germany. And after the reform and opening up, cooperation has been established with universities, research institutes, hospitals, companies in 20 countries, including Germany, America, Japan, Canada, Sudan, Malaysia; and with international organizations like WHO and UNICEF. In 2014, Tongji Medical College has over 4000 undergraduates and 5100 graduates, including more than 1000 international students. Undertaken by Tongji Medical College, this program aims at cultivating elementary doctors of high quality who can engage in medical practice with effectiveness and preciseness under the guidance of senior doctors. Till 2014, about 200 international students have graduated and over 600 international students are studying in this program. With the purpose of enhancing the students’ language skills in communication with patients, and getting prepared for the clinical internship in China, the teaching instruction of MBBS program is as follows: 1st and 2nd year with English medium, 3rd and 4th year with bilingual instruction of both English and Chinese, and 5th and 6th clinical study with Chinese medium. Text books, exams and graduation thesis will all be in English. Biochemistry and Molecular Biology, Systematic Anatomy, Histology and Embryology, Medical Immunology, Physical Diagnostics, Medical Psychology, Fundamentals of Operation, Functional Experiments, Pathophysiology. Undertaken by Tongji Medical College, this program aims at cultivating high-quality pharmacists capable of conducting research, manufacturing, quality control, and monitoring administration of drugs and their preparations. This program integrates the knowledge of humanities, information and computer science with that of pharmacy so as to broaden the cultivation of talents of good quality in pharmaceutical specialty. Currently, about 90 international students are studying in this program. Pharmaceutical Chemistry, Pharmaceutics, Pharmaceutical Analysis, Clinical Pharmacology, Pharmaceutical Administration, Management of Hospital Pharmacy, Pharmacoepidemiology. This specialty is the first one in China to start the English-medium program. In the first year, students are supposed to enhance their ability to read, speak, listen and write English through the courses. Then in the second to fifth year, all the courses of fundamentals of medicine, specialized courses and clinical practice is carried out in English. In this way, after graduation students have not only the advanced English skills, but also the good command of professional basic theory and practice skills, which make them capable of working in institutions of higher education and provincial hospitals. In addition, the courses are set with international standard, so they will also become professional nursing personnel who are all-round and competitive in the whole globe. Medical Nursing, Surgical Nursing, Gynecology and Obstetrical Nursing, Pediatric Nursing, Rehabilitative Nursing, Emergency Nursing, Gerontological Nursing, Mental Health Nursing.